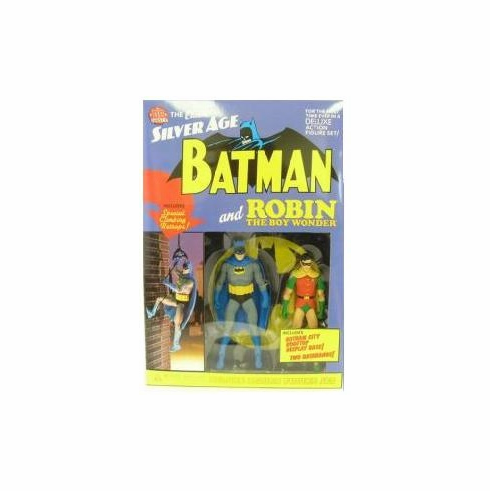 Classic Silver Age Batman stands approximately 6.25" tall while Robin stands approximately 5.75" tall. Both action figures feature eleven points of articulation. This set also includes two 1" long Batarangs, a 12" long Batrope with a suction cup and a 9.5" wide x 4.25" deep x .75" tall base in the shape of a Gotham City rooftop. Packaged in a 4-color window box.